Yet another of the physically larger sets of the Summer 2015 release wave. Love this set but it appears it's going to be a USA exclusive release, I'm starting to see comments from various sources that are getting responses from Lego stating this. Your help would be greatly appreciated Jang. It's definitely not US exclusive, as I've seen it in eBay stores in South Korea & Japan for at least a month and there are some out there now. 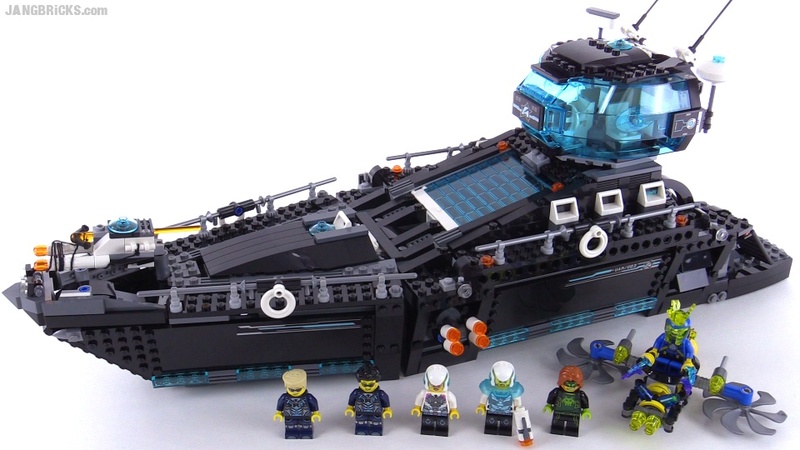 If LEGO won't stock it directly, eBay stores on your side of the world may be your best bet. Thanks for the response Jang but unfortunately on eBay the prices are quite obscene on these sets, they are well above US RRP and in most cases almost double the price without shipping costs. Hopefully Lego changes their mind and releases them to Europe & Australia but given they put almost all the old sets on clearance at Lego s@h recently I don't hold much hope of that. I guess I'm going to have to miss the 3 new Ultra Agents sets. This was an official response someone received from Lego Australia for anyone interested. "due to a strategic decision currently no new LEGO Ultra Agents sets are planned to be released in the European market (which includes AU). This concerns the sets 70171 70172 & 70173 you have queried below." From what I'd heard from other viewers, LEGO prices in Australia & New Zealand are consistently very significantly higher than the US. The US retail price of this set is $100 USD and I see some on eBay for $170 with free shipping, which I figured translated to around $145 USD for the set and the rest for postage. Sorry about the unfortunate situation :( There have been sets released only to countries other than the US before, so I can understand the frustration.